One way is identifying the common stressors so you can address them proactively – like the miners who relied upon the canaries to alert them of methane or carbon monoxide in the mines. The canary would die before the levels of the gas reached those hazardous to humans. In the same way (but not risking any of our feathered-friends) you need to identify your stress hazards in advance, be self-aware and manage them. We deal with customers, suppliers, late payers, government red tape, paperwork, team members, cash flow…the list goes on, and often it can feel as if you have little to no say. To help manage this, consider accepting that not all decisions will go your way and aim to have a positive outlook when they don’t. Appreciating your wins and accepting what you can’t control can help calm frustrating situations. Often people react to situations without actually taking actions to better support them. 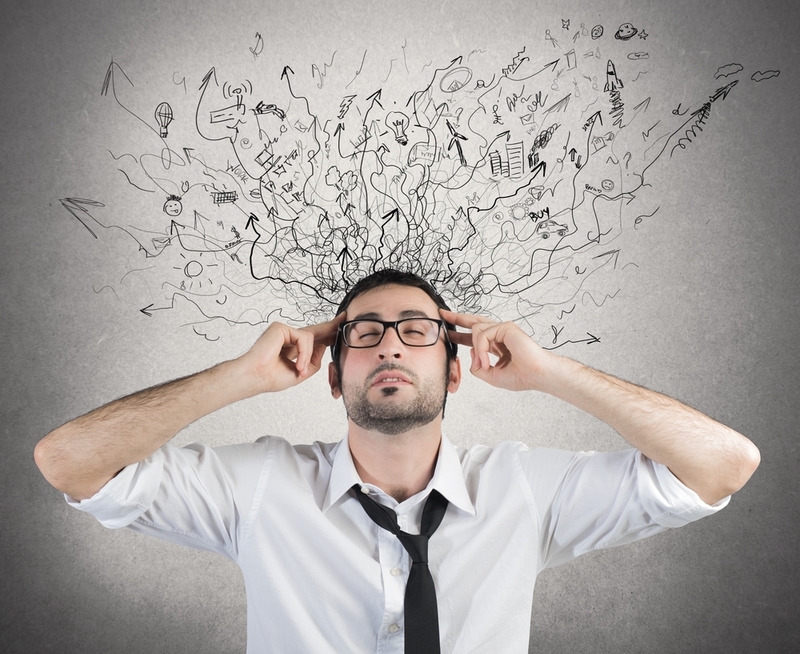 Reactions are often emotionally driven and do not effectively support business decisions. To help ease the urge to react to something, take time to listen, analyse the situation, consider multiple responses to it and breathe. If it’s a good decision today, it will be a good decision tomorrow. Firstly, define what “doing it all” means. In all likelihood, what you want to get done couldn’t be achieved working 24/7 anyhow. So be kind to yourself. Acknowledge you can only do so much in one day. Accept that your health – including sleep, exercise and eating habits – contributes to your overall professional performance, allowing you to better manage your day-to-day stresses. Budgeting time to work out, allocating certain hours for family and / or friends only and choosing not to check emails during certain hours of the day are all proven ways to help manage a busy workload and eliminate stress. 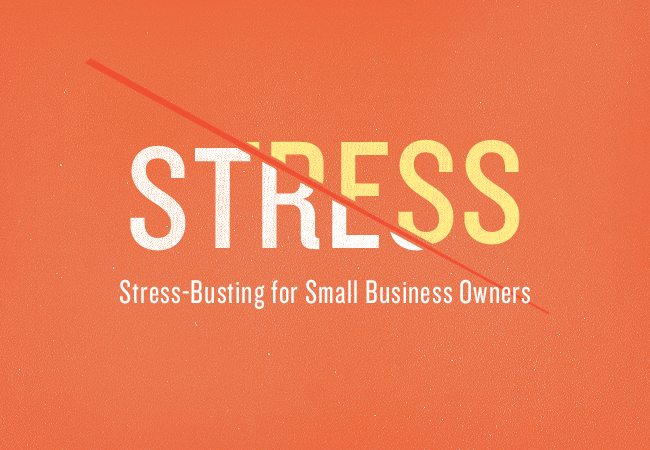 The largest small business stressor is cash flow uncertainty: what sales are coming in, knowing that bills and employees need to be paid. The first step is to look at improving systems and structures so you can feel more confident in your cash flow: shorten your receivables period; identify payment disputes fast; maintain great customer relations to minimise such disputes; look at ways to take payments up front; and watch your accounts payables closely. 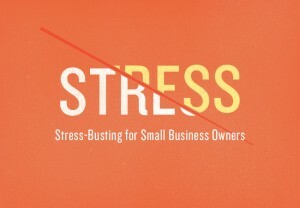 Systems and support go a long way to easing the stress burden on a small business. I recommend joining a business group where you can meet other owners and discover they are battling their share of stresses too. Often it is the ‘business success’ mask we assume when things are tough that can cause the greatest damage. That’s why at Bx we are so passionate about building a community of business owners who can learn and grow together through their shared experiences. Before I dive into the power of business networking, let me explain what networking is not: walking into a room of business owners, darting from person to person, giving away as many of your business cards as possible, gathering up as many as possible, returning to your office, then adding them all to your email newsletter list, firing off a generic newsletter and expecting a sale immediately. In metaphorical terms, that sort of networking is like piling your plate at the local ‘all you can eat’ buffet and not stopping to savour the food. 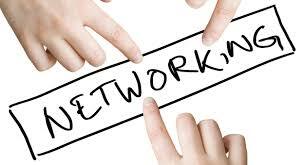 Networking is not about the number of business cards you gather, but the relationships you build. It is not how fast you can free yourself from the person you deem an unsuitable ‘lead’ for your business – but how fast you can discover how to help them. Great business networking is not measured by the dollar delivered to your business, but by the number of relationships you help others create. I attend numerous different networking events every week. 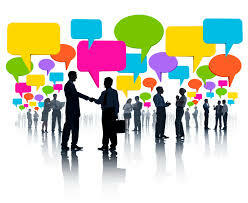 It is a critical part of our sales process and more than 35% of our clients come from networking events. As an active member of The Real Biz, BNI, the local Chamber of Commerce and the NSW Business Chamber, I consider networking to be critical to building a successful network. You increase your exposure to other people like yourself, with varying levels of experience and who all share a desire to help each other. Referral sources are a significant lead generation source for most businesses. You will build strong relationships with people you know, like and trust, who you will be able to rely on for advice on many areas of business, and where to go to get support and refer suppliers for your business. It’s great to get out of your business and work on it, rather than in it, and networking is generally a great social tool. Work the room − we often get in our comfort zone and hang around the same people. In a networking environment we need to do the opposite. Meet and talk to as many people as you can. You are not in a networking environment to just swap business cards − you need to build relationships. The people in the room are not your leads. Often I see people work the room like everyone there needs to do business with them. The problem is that this is very limited thinking. Instead, build the relationship by following up the initial meeting with a coffee chat. As you learn more about the other person’s business, think how you can refer them to people you know. In turn, they will hopefully do the same. The power of networking is not as much about the person you are meeting as it is the many people they already know and network with. Have every business card saved in your contacts, connect with the contact on LinkedIn AND, most importantly, remember their name next time you meet. Be on FORM – it’s a great acronym to remind you of ice-breaker questions when you meet people. F = Family (where are you from, are you married, kids, their ages?) O = Occupation (what kind of work do you do, how did you get into it? do you enjoy it?) R = Recreation (what do you do for fun? Hobbies? M = Message (move from the informal to the formal, setting up a coffee chat, working out how you can work together). Networking is a vital element of your marketing mix – not the only element but an important one. I also suggest splitting it into hard, soft and social. Hard networking is structured with expected referral outcomes, as in a group like BNI. Soft networking is excellent for brand and relationship building yet without the targeted expectation of referrals. The Real Biz Group offers this type of model, as do Chambers of Commerce and State Business Chambers. Social is networking though social media groups that are built online according to business interests – these can include LinkedIn groups, or MeetUp groups. Join me at one of my networking events, The Real Biz, meets every 2nd Thursday from 8am to 10am, at Buzzbar Espresso Mortdale, and my BNI Chapter meets every week on Wednesday from 7am to 8.45am at St George Motor Boat Club Sans Souci. There are also other BNI and Real Biz Meetings all across Australia, select the links to see where they meet.